There is an old Yiddish proverb that notes, “Every humorous anecdote has some truth to it.” This adage was reflected in a “What’s App” image I recently received depicting a Chabad House on the moon. In fact, the only reason why there is no Chabad emissary dispatched to the closest lunar satellite is because there are no Jews spending time on its surface. Rest assured that in tandem with commercial space flights and exotic travel excursions bringing thrill seekers to explore the moon craters, Chabad will be there to offer them Tefillin and Shabbat candles. Currently playing in Toronto is a theater production called, “Come From Away.” The documentary is about the eastbound oversea’s flight diversions that happened in the wake of the devastating 9/11 attacks. Many international flights were redirected to Gander, Newfoundland a remote town on the eastern shoreline of Canada. Sixteen years ago, this small municipality with a population of 10,000 became host to nearly 6,700, people almost doubling its population when 38 planes touched town for an unexpected grounding. One of the scenes featured in the play, is a rabbi ministering to bewildered strangers he meets amongst the 7,000 refugees. In real life it is Levi Sudak, the Chabad Shliach to Edgware, a suburb of London, England. On that fateful day the rabbi had taken a flight from London to New York to visit the “Ohel,” -resting place of the Lubavitcher Rebbe,- Rabbi Menachem Mendel Schneerson, obm, just ahead of Rosh HaShanah, which would be observed the following week. 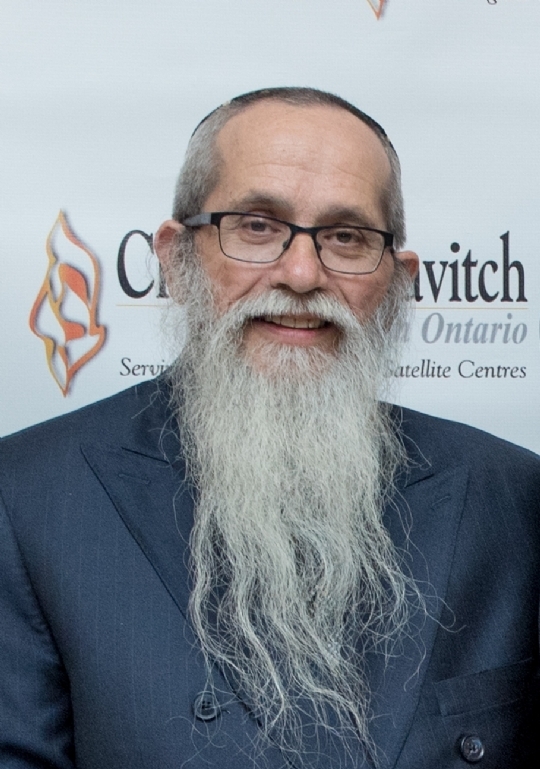 Instead of returning to London that night as planned, Rabbi Sudak found himself in Gander for the better part of a week. As a Chabad’nik Rabbi Sudak knew that being stranded in a strange and foreign environment meant that beneath all the heartache, pain and confusion there was a mission to accomplish. Sure enough, wandering the street of the town, he encountered a local Holocaust survivor who never told anyone, not even his wife, that he is Jewish. With a broken heart he divulged his origin that as a boy he had been tortured by the Nazis and later adopted by a British family. After a lengthy heart wrenching discussion and donning tefillin, Rabbi Sudak gave him a yarmulka, a siddur and tallit. Naturally they kept in touch and years later, after his passing, the survivor’s son related that his father asked to buried wrapped in the tallis and wearing the yarmulka the visiting rabbi had gifted him. This anecdote sheds some light on the mission of Chabad Lubavitch to establish a presence wherever there are Jews to be found, even if they are far and few. Hence, there is a Chabad presence in St. John’s, Newfoundland, and Reykjavik, Iceland. On occasion the Rebbe, of blessed memory, addressed this quandary, “Why spend the time and effort to reach out even to the most remote locations,” he asked rhetorically. Furthermore, “with limited resources, and much work still to be accomplished in the larger cities, should we not concentrate and consolidate the scope of our reach,” he intoned. The Rebbe went on to explain that in order to prepare the world for the Messianic era, we have to do our utmost to reach even the most remote places and bring holiness to its surrounding. Our objective is to uncover the hidden sparks of holiness lying dormant within our brethren that may have strayed, be it in space or spirit. The Midrash relates, when G‑d said to Abraham, “Your descendants will be strangers in a foreign land,” a reference to their eventual enslavement in Egypt, He concludes, “afterwards they will leave with great wealth.” Upon hearing this Abraham responded, “Just grant them freedom, and they will gladly forgo the spoils.” Factually, as promised, they left Egypt with great wealth, both materially and spiritually. 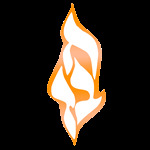 They departed with valued treasures while they also succeeded to lift the embedded sparks of holiness from within its boundaries.’ So too, now as we await the arrival of Mashiach, the Shluchim of Chabad can be found wherever Jews may be. So if you find yourself stationed in an army base in the Philippines or vacationing in St. Barts, don’t be surprised to encounter a Chabad’nik eager to be of help… the Jewish way. Best wishes for a Kosher and Joyous Pesach.